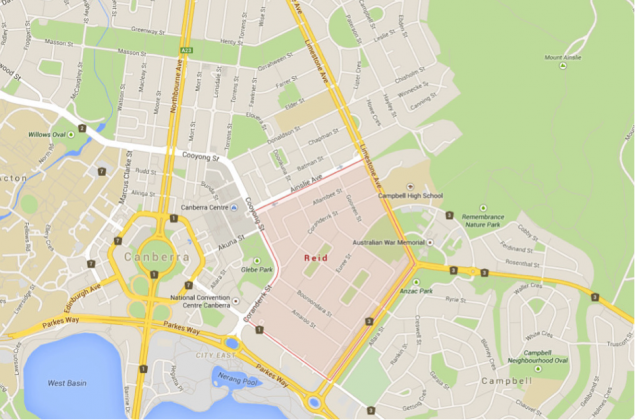 If you live in Reid, you are living in one of Canberra’s oldest suburbs. Populated by approximately 1,583 Canberrans, Reid is situated right next to the Canberra city and is on the left-hand side as you drive up ANZAC parade, towards the War Memorial. The suburb was originally constructed to provide housing for public servants in preparation for the opening of Parliament House in 1927. 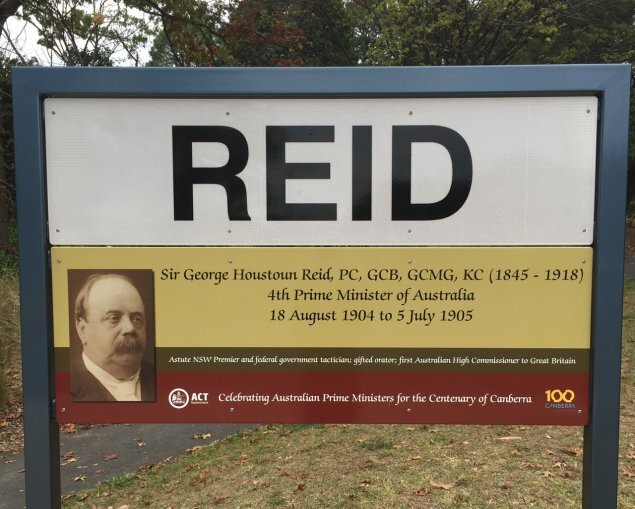 In 1928 Reid was identified as its own suburb and separated from the suburb of Ainslie, when it was renamed after Australia’s fourth Prime Minister, Sir George Reid. According to Google, the streets of Reid are named after Aboriginal words. Reid is home to a number of heritage listed buildings and landmarks. In fact, due its history, my research tells me that the suburb of Reid itself is also heritage listed. 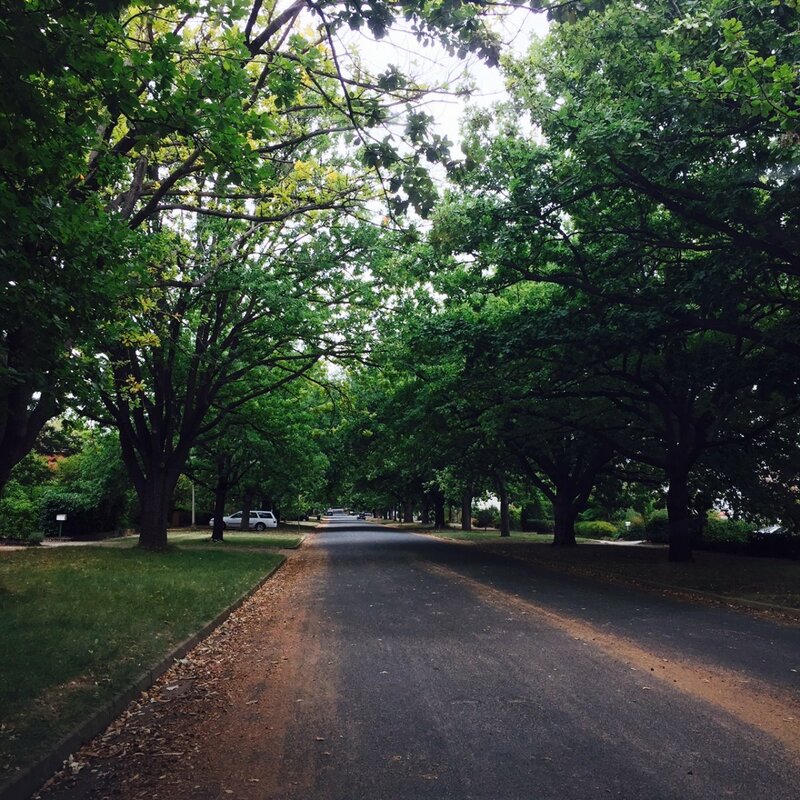 Being one of the oldest suburbs in Canberra, Reid is quite pretty to look at; with tree lined streets that I can only imagine will look incredible as we come into autumn. I was surprised to discover that Reid does not have its own set of local shops, not even an IGA or single local café (other than the one located in the CIT, but does that even count?!). The closest set of local shops, depending on which side of Reid you might live on, are either Campbell shops or the Civic shopping centre. 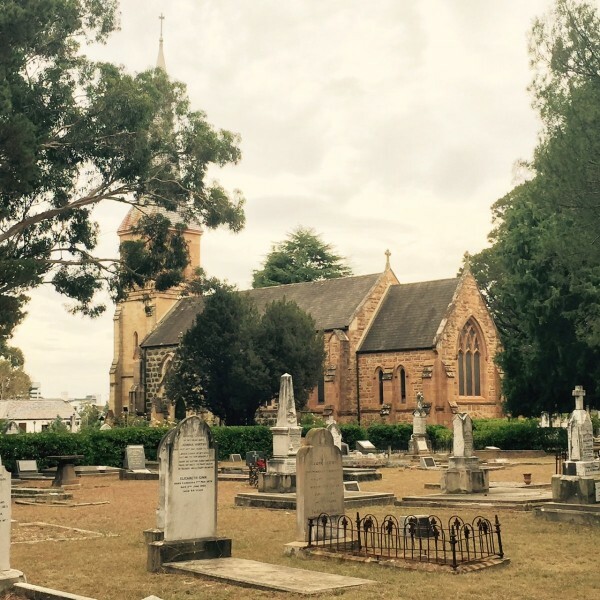 Landmarks that you may recognise within the suburb, are those such as the Canberra Institute of Technology and St John the Baptist Church, which is the oldest church in Canberra. Not only can you walk to the city from Reid, but it is also walking distance to Mt Ainslie, one of the mountains Canberrans like to walk up for exercise. It is actually also a very popular spot for marriage proposals, with its romantic nighttime view of the sparkling Canberra. Unfortunately, apart from the Reid Tennis Club, there is not a whole lot happening in Reid. It’s a very quiet suburb and unless you or someone you love lives there, or you got to CIT, with no local café or shops I can’t see many reasons to spend time there, which is a shame, because as I said it’s an absolutely beautiful suburb. Recently a new apartment block was developed on Constitution Avenue and underneath are a number of empty spaces for commercial leases, so hopefully with any luck a café will go in there giving Canberrans an opportunity to spend some time in the lovely suburb of Reid. Civic, Campbell and Ainslie shops are reasonably close and convenient. The old Olims hotel, CIT and the War Memorial provide some dining/drinking options. It’s quiet here after living in Campbell, and that’s the way I like it. My little 1927 cottage is small on space, big on charm. Streets are wide and lined with deciduous trees giving shade in summer and letting in the winter sun. A classic Canberra suburb. Hard to see the character changing much, given the heritage listing. Maybe the government will nibble around the edges with high rise towers replacing the government flats, and that will be a shame – any new developments will be short on parking and we’ll get even more restrictions on our residential streets. Exactly right vintage123. I grew up in Campbell which is very similar. Lovely old house on a big block, lots of trees, Mount Pleasant and Mount Ainslie nearby. I now live in Gunners for reasons of affordability and while it has its own charm its not the same. It saddens me to think that suburbs like Reid and Campbell are unaffordable for most people. Reid symbolises a notion of fantasy for non canberiians. It’s what they think canberra is like in toto. If only canberra was more like Reid, with large lots, solid homes, wide tree lined streets and a great amount of character and ambience. Imagine if they redeveloped some land near canberra modelled on Reid as opposed to the new way of doing things with tiny blocks, narrow streets and apartments after apartments all squeezed in and shadowing the whole neighbourhood. When out of towers dream about moving to canberra I believe this is what they think they will live in a quiet leafy suburb like Reid, close to all ammenities and so much better than sydney, Melbourne and perth. Peter and I owned an apartment in Reid for some time and absolutely loved the suburb. Being just a few hundred metres from the city, Braddon and The Canberra Centre, with all the cafes, bars, eateries and shops (and Campbell shops close by), we didn’t ever feel that the suburb needed “it’s own set of local shops or IGA”. For those who enjoy walking for pleasure, Reid offers picturesque surroundings, leafy streets and a relatively quiet environment. And yes, there’s Mount Ainslie for those who love a challenge! Actually, one time I won a race up that mountain. The St John’s church is a nice place. The church property is very scenic. It also contains a spacious hall, which is used for community functions. There are also porcini mushrooms growing under the pines in the graveyard, but don’t picked them unless you really know your mushrooms. When we came to Canberra in 1949 we lived on the Mt Ainslie side in Boorandara Street. There were no houses between us and St John’s. There was nothing to the east of Allara Street, except for Duntroon and the airport. Where the Campbell shops are now there was a gypsy camp. Civic seemed such a long way away through the forest of popular trees. Civic consisted of the Sydney & Melbourne buildings, the radio station 2CA, the Civic Pub and the police station. Oh those were the days :).